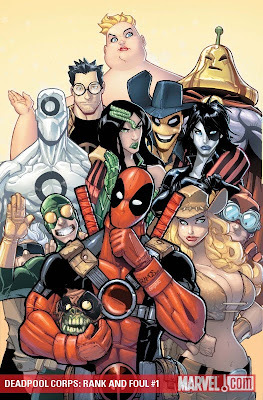 In the Marvel Universe Handbook style, this one-shot has everything you need to make sense of Deadpool! (Is that even possible?) In this issue, there are more ALL-NEW profiles than 'Pool has voices in his head -- from "allies" (Outlaw, Weasel, Zombie Deadpool), to enemies (Ajax, Dr. Bong, Madcap), to the hotties (Dr. Betty, Blind Al, Big Bertha) and the sheer awesomeness of the Sack! How could you pass this up? You know at least one of your personalities will love it! Featuring NEW ART for dozens of characters! More fun than a barrel of gun-wielding monkeys!